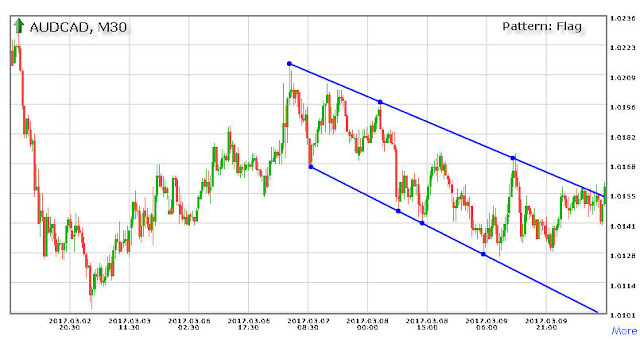 This pair is showing a Flag Pattern on the 30-minute chart and may be suitable for an entry. Please do due diligence on every entry. Chart courtesy of Forex Trendy.